With the typically high costs of running aviation-related businesses, many companies are just barely able to cover their expenditures. 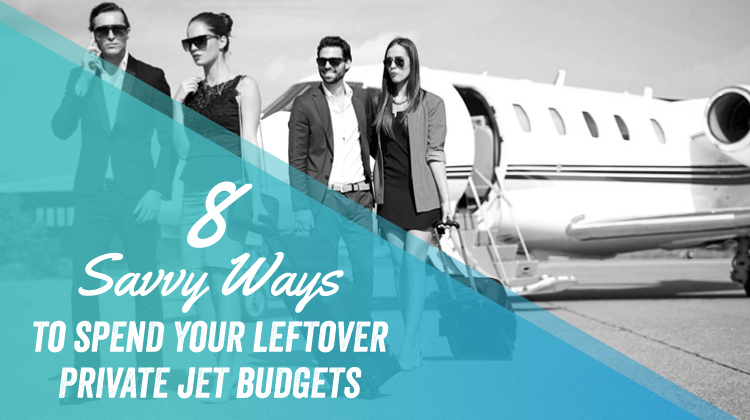 Should you ever find yourself in the enviable position of having leftover budget, here are a few ways you can reinvest that money and take your business even further. While more and more are turning to jet charters for practical reasons such as scheduling, there are still plenty who avail of the service purely for the sake of luxury. Give these people the experience they dreamed of by enhancing your cabin interiors. Install plush seating, lovely tables, and better lighting, knowing that when you’re selling an experience, it’s the details that make the difference. In-flight food and beverage can have a significant effect on your company’s publicity: it’s one of the aspects of a flight that people can either gush or complain about, including on social media. So a few choice improvements to your offerings – even just a larger drinks menu – can win you points with your customers. Especially on longer flights, in-flight entertainment can be a big deal for your passengers, who would appreciate not having to be glued to their own devices just to stave off boredom. Check your selection of movies and TV programs to see if it leaves anything to be desired. Of course, if your in-flight entertainment still doesn’t include internet access, now would be a good time to invest in it. How much do you know about your target audience? What data do you go by when making business or marketing decisions? If you find yourself answering “not very much” to either of these questions, some market research would be in order. Learn about the people who’ve availed of your services (where they went, what they liked, what they didn’t like, what they wish to see next time) as well as those who haven’t (and why not). If you’ve invested very little in your marketing, advertising, and PR efforts so far, then you’re likely missing out on an opportunity for greater profits. Look into traditional, online, and guerilla advertising ideas to find cost-effective ways to draw attention to your services. A common mistake from smaller, newer businesses (both within the aviation industry and not) is neglecting brand identity. Does your business have a professional-looking, recognizable logo, and an impactful tagline? Do your marketing efforts follow an attractive and cohesive visual identity manual? If not, it’s time to allot some money for an agency’s expertise. Using social media is usually free; getting professionally made, effective social media posts is not. Get a skilled social media manager who knows how to engage your audience using the right content at the right times. Hire a graphic designer to produce eye-catching images following your brand manual (see: item #5). Enlist a professional photographer to create publicity photos of your fleet, your hangar, and other aspects of your service. Create lifestyle images of your cabin interiors and post them on Instagram. Show off impressive shots of your fleet. These can go a long way in attracting people to your business.